Corporate rights of company owning Marine Transshipping and Warehouse Complex are offered for sale. The company is specialized in rendering services of accepting, processing (drying and clearing), storing and dispatching crops for export including performing forwarding and customs registration for export operations. 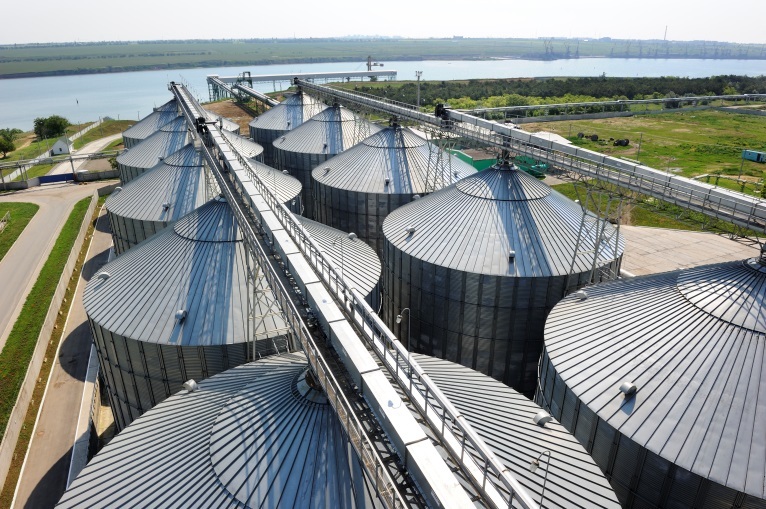 Terminal is a transshipping and warehouse complex of crops cargoes with berth having close manufacturing cycle from acceptance of crops from truck and railway transport to loading it to the ship. Terminal is located in the water area of Black Sea ports, the most deep water port of Ukraine. Terminal is located in industrial area and not constricted with residential construction of communities which allows freely accumulate and accept cargo traffic and perform dispatch as well as gives the opportunity for further development of Terminal. Designed capacity of the operating Terminal is 2 mln tons annually. It was put into operation in 2009.
crowding pen for accepting trucks. Plot of land with the area of 18 ha where the Terminal is located was leased out to the company for the period of 49 years. This plot of land has a territory free from construction to be used for further development of Terminal. As of today the second stage designing of Terminal assuming development on the allocated plot of land is totally accomplished. construction of additional carriage unloading stations which will increase the total capacity up to 250 carriage/24 hours. construction of additional gallery to berth, capacity of 1200 tons/hour and installation of additional ship loading machine, capacity of 1200 tons/hour on the existing berth. Implementation of project will help to ensure simultaneous accumulation of 3-4 panamax shiploads of different grains nomenclature and will increase the shipload volume up to 120.000-150.000 tons. After putting the second stage into exploitation the designed capacity of Terminal will increase up to 4,5 mln tons/year.